Amid declining trust in the global banking system, peer-to-peer virtual currency Bitcoin has been thrust into the spotlight – sparking a debate as to whether it can become a viable global currency. Though the value of Bitcoins has fluctuated wildly, many retailers have begun to accept Bitcoins, both online and at the point-of-sale. Will Bitcoin become a mainstream payments channel, or will the virtual, anonymous currency craze fizzle out as quickly as it began? Virtually unknown before the last few months, except among a niche group of tech nerds and digital currency aficionados, the anonymous, digital currency Bitcoin has experienced an exceptionally volatile rise to fame over the past couple of months. In early 2013, the value of Bitcoins rose exponentially, from less than $20 per coin to a peak of $266 in April. The value then halved in one day, sinking to $105 per coin, rebounding, and then collapsing again. Speculations have abounded as to the cause of the spike in value early this year, with most explanations centering upon the financial crisis in Cyprus, in which a failed bank “bail-in” prompted fears among many depositors that their funds would not be safe. Having lost trust in the country’s financial institutions, many people may have shifted their funds from Euros into Bitcoins, which were perceived as more insulated from the economic crisis at hand. Chris Skinner, Chairman of the UK-based Financial Services Club, has also argued that the rejection of Iranian banks from SWIFT, a network of global financial institutions, may have pushed many Iranians to convert their dollars into Bitcoins. Once triggered, whether by Cyprus, Iran or some other factor, the value of Bitcoin continued to climb, taking on a life of its own, driven in part by speculation and curiosity in the newly-popularized currency, and part by continued anxiety in the global banking system. But while the bubble and its subsequent burst brought Bitcoin to the forefront of the global imagination, what will be interesting to see now is where it will go from here (at the time of publishing, the value of Bitcoin was $139 per coin). Emerging from its underground lair into the mainstream payments area, will Bitcoin become a disruptive force in the global economy, or slither back into its cave? Until recently, Bitcoins were relatively difficult to use for general purchases and sales, accepted only by a niche selection of gaming companies and online marketplaces, including this site where you can buy Alpaca products for Bitcoins, and this one for organic coffee. As an anonymous and decentralized currency, Bitcoins have also been tied to illicit activities, such as the sale of illegal drugs. Online marketplace Silk Road – which has become the essential outlet for buying and selling drugs online, among other illicit goods – uses Bitcoin to evade government intervention. But with Bitcoin increasingly in the spotlight, tech-forward retailers have begun to tepidly test the Bitcoin waters, experimenting with ways to accept Bitcoin as one channel of payment. This widening of Bitcoin acceptance may prove key to the long-term sustainability of the currency; if it is able to become a mainstream payments channel, more and more consumers will likely use the currency across a variety of retail environments, online or in stores. Web-hosting platform WordPress, for instance, was one of the first large companies to integrate Bitcoin into its payment structure, citing on its website similarities between the Bitcoin mission and its own: “Running on open source software, just like WordPress, Bitcoin is community-driven and maintained.” WordPress users can pay with Bitcoin in the WordPress.com Store, as an alternative to PayPal or credit cards. Other online merchants, such as dating site OkCupid, homemade craft marketplace Etsy, as well as Reddit, 4chan,  and Foodler** ** have also introduced Bitcoin as a payment option. Bitcoin may increasingly gain popularity in emerging markets as well, with the potential to enhance financial inclusion by enabling secure and convenient mobile payments. For instance, a virtual currency such as Bitcoin can open additional (possibly more affordable) channels for international money transfer, particularly those to hard-to-reach or highly-regulated areas, which we covered in this past Mondato article. According to this ICTworks post, Bitcoins are uniquely portable and unregulated, which may be an interesting solution to many of the challenges facing payment systems across Africa. As Bitcoin increasingly enters the public sphere, a number of challenges have emerged which may hinder further Bitcoin expansion into mainstream commerce. First, wild fluctuations in value over the past key months have demonstrated a key flaw of Bitcoins – their volatility. Because there is a self-imposed limited on the number of Bitcoins that can ever be “mined” (21 million), which is expected to be reached by 2040, the currency is susceptible to a massive deflationary bias, according to this Atlantic article. This means that while the number of goods to be purchased with Bitcoins may increase, the amount of Bitcoins will remain fixed, causing the value of Bitcoins to spiral upward. There has also been a rash of security issues associated with Bitcoin, from hacking scandals to phishing attacks. In early April, for instance, it was discovered that the Coinbase digital wallet for Bitcoins had been the victim of a phishing attack, publicly exposing Coinbase user information. This followed the hacking of Bitcoin digital wallet Instawallet the week before, as well as a series of denial-of-service (DDoS) attacks on Bitcoin market Mt. 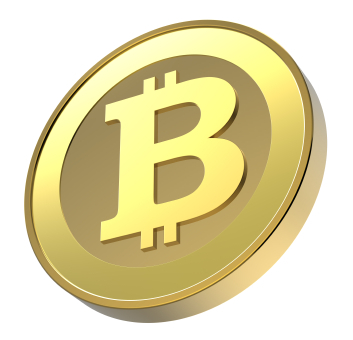 Gox, which cumulatively facilitates more than 70 percent of Bitcoin transactions worldwide. While roadblocks are inevitable for every innovation, these attacks may reduce trust in the currency – preventing it from gaining mainstream traction for payments. Now that it has made a name for itself – featured in top media publications – Bitcoin is certainly not going away anytime soon. But will it become a disruptive economic force that transforms the way we understand money? Until it proves its long-term sustainability in terms of value, and finds a way to effectively combat hacking attacks without jeopardizing customers’ funds, this is unlikely in the near future. However, tech-savvy retailers are likely to increasingly add Bitcoin as a payment option, even if only to stay ahead of the trends – particularly as the peer-to-peer sharing economy continues to gain currency. Further, we may continue to see innovations in the use of Bitcoin to enhance financial inclusion in emerging markets, filling gaps left by weak central banking systems. Perhaps, inspired by Bitcoin, new virtual currencies will emerge that address some of the weaknesses of the Bitcoin system – learning from its mistakes. Ripple, for example, which hails itself as “the world’s first open payment network,” endeavors to enable frictionless payments to and from anybody in the world, using any currency (including Ripples and Bitcoin). Amazon has also thrown its towel into the virtual currency ring, introducing Amazon Coins this year – which can be used to purchase digital goods from the Amazon Appstore. Whether or not Bitcoin or any of these emergent currencies will make a dent on the global economy is still unclear; but it is certain that Bitcoin has served as a key trailblazer in the virtual currency space, prompting people to question the basis of the global financial systems, and spurring entrepreneurs to innovate new ways to transact outside of traditional currencies.